I'm not familiar with this character, but judging strictly on your depiction of her, she's seems like a cool blend of fantasy and sci-fi. 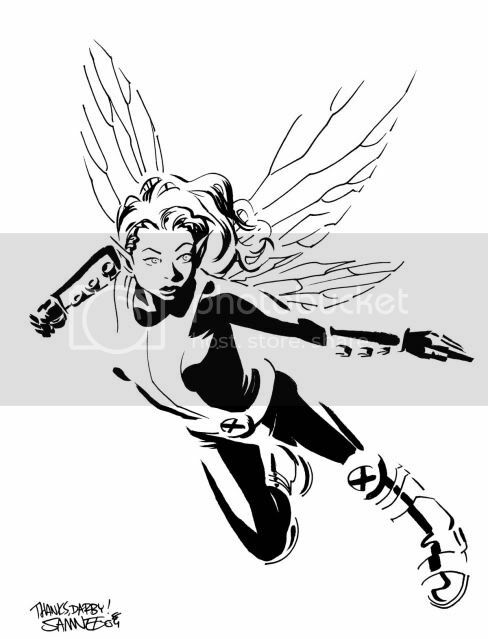 Your economy of line on her wings contrasts vividly with the deep, rich contour shadings of her costume. Very ethereal and, well, pixie-like.